Your home or office might be your castle, but when an intruder breaks in, it becomes something else entirely. At Midwest Total Security, we are passionate about providing peace of mind to the residents and property/business owners of our local communities with our state-of-the-art security systems. 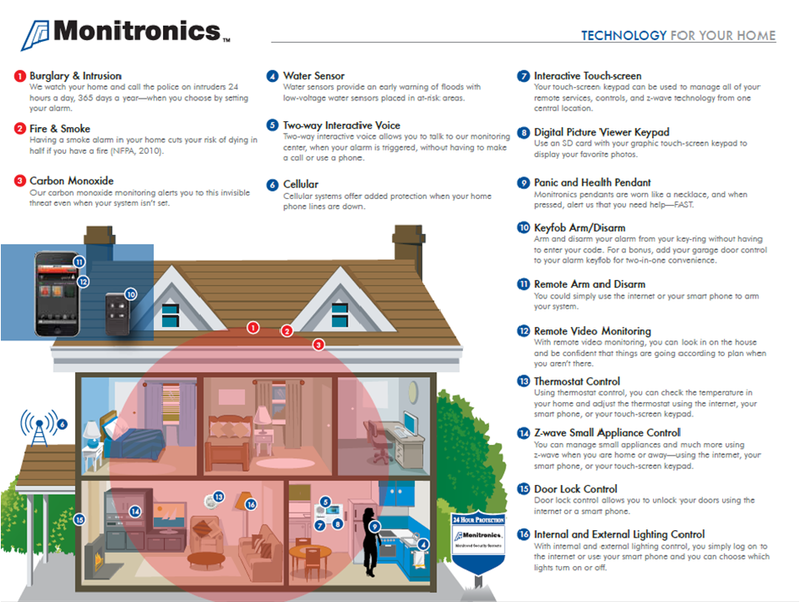 The systems we provide detect not only home invasions, but also smoke, heat, and carbon monoxide. If they are ever triggered, they'll instantly signal the proper authorities for you, which can certainly be a lifesaver in the heat of the moment. We feature both wireless and hard-wired security systems, depending on which one best suits your needs. With our state licensed and certified technicians you will never need to go anywhere else for your security needs. We offer complete installation, repair, and inspection of all security systems and needs. As members of the Franklin & Ross County Chamber of Commerce, we have a duty to our local communities to provide only the best security systems and services. This is the reason we'll always stand by our work with a 100% customer satisfaction guarantee. To find out more about our security systems services and warranties, please give us a call today. We'll gladly answer any questions you may have! Click here for in-depth videos on quality Honeywell security products we offer! For more information about our services, please feel free to contact us directly. We would also be happy to provide you with an estimate for any of our services.